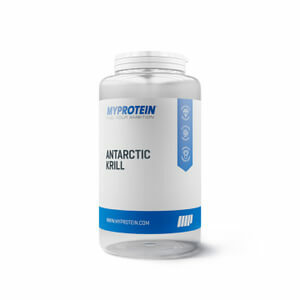 Antarctic Krill Oil is a pure, natural source of omega-3 fatty acids eicosapentaenoic (EPA) and docosahexaenoic (DHA), choline and the natural occurring antioxidant astaxanthin. What makes krill unique is the fact that its omega-3 fatty acids mostly attached to phospholipids. Sourced from the pristine waters of the Southern Ocean, Antarctic Krill is virtually free of toxins and heavy metals – and being at the bottom of the food chain, Antarctic Krill Oil capsules come from a sustainable and 100% traceable source, with GPS coordinates to track it from sea to shelf! Omega-3s in Krill oil are unique, because they contain phospholipids, choline and astaxanthin, which makes them bio-efficient, stable and contribute to an adequate intake of choline. Studies have shown that phospholipid omega-3s are better recognised and utilised by the body, resulting in higher cellular incorporation, as opposed to triglyceride-based omega-3s, such as those found in fish oils. Triglyceride omega-3s have to be converted by the liver before they can be used by the body’s cells. 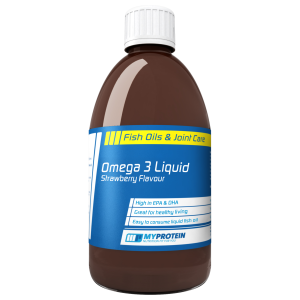 ✓ Krill omega-3s are water soluble and therefore avoid any chances of reflux. If we would summarise the benefits of Krill oil capsules, then it would be – small, red and powerful. Besides being a good source for omega-3s and choline, krill oil supplements might also play an important role in sports nutrition. A study of 106 German winter elite endurance athletes showed that only one athlete was within the optimal omega-3 target range for lowering the risk of cardiovascular events and suboptimal reaction time.1) From these results, it is suggested that omega-3 supplementation might be more important for athletes than previously thought, as it is believed that their body uses these essential fatty acids as an energy source. What role does choline play? The biggest portion of krill phospholipids consists of phosphatidylcholine (PC), which are made up of two fatty acids and a phosphorus group that is linked to a choline head group. Normal liver3) and brain4) functions depend on sufficient PC intake and it is also suggested that PC supplementation might benefit endurance athletes5). In fact, supplementation with PC significantly increases circulation of choline levels; as much as 12 times better than choline salts alone.6) When sufficient choline is available in the body, then acetylcholine can be produced, which is a molecule important for muscle contractions. Krill oil comes in a combination of omega-3s and PCs and might therefore give a special advantage when it comes to sport supplements. After 6 weeks of either 2 grams daily consumption of krill oil or placebo consumption, the Omega-3 Index, a measure of the percentage of EPA and DHA in red blood cell fatty acids, was measured. Participants that took krill oil had a significant increase in their Omega-3 index. ✓ The volunteers then performed an incremental maximal exercise test on a cycle ergometer. ✓ Participants cycled at 70 revolutions per minute with workload increasing by 30 Watts every minute for males, and 20 Watts every minute for females, until volitional exhaustion. Results of immune function parameters that were measured in the recovery period after exercise, demonstrated that supplementation with 2 grams of Krill oil per day for 6 weeks significantly increased the production of IL-2 (a signaling molecule that regulates the activity of immune cells) as well as the natural killer (NK) cells. NK cells are the first line of defense, when it comes to bacteria and viruses. Their activity can decrease by up to 60 % for several hours after heavy exercise! Several sport nutrition studies including omega-3 fatty acids highlight the importance of an adequate intake of these fatty acids for athletes. The ability of krill oil to positively influence immune function shows that regular consumption of omega-3 phospholipids from krill oil might be an effective nutritional strategy to support athletes in the post-exercise recovery phase. The overall conclusion is that Antarctic Krill offers the benefits of omega-3s, with additional bio-availability! 1) von Schacky C, Kemper M, Haslbauer R, et al. Low Omega-3 Index in 106 german elite winter endurance athletes: a pilot study. Int J Sport Nutr Exerc Metab. 2014;24:559-64. 2) Peoples GE, McLennan PL, Howe PR, et al. Fish oil reduces heart rate and oxygen consumption during exercise. J Cardiovasc Pharmacol. 2008;52:540-7. 3) Buchman AL, Dubin MD, Moukarzel AA, et al. Choline deficiency: a cause of hepatic steatosis during parenteral nutrition that can be reversed with intravenous choline supplementation. Hepatology. 1995;22:1399-403. 4) Wurtman RJ. Synapse formation and cognitive brain development: effect of docosahexaenoic acid and other dietary constituents. Metabolism. 2008;57 Suppl 2:S6-10. 5) von Allworden HN, Horn S, Kahl J, et al. The influence of lecithin on plasma choline concentrations in triathletes and adolescent runners during exercise. Eur J Appl Physiol Occup Physiol. 1993;67:87-91. 6) Hirsch MJ, Growdon JH, Wurtman RJ. Relations between dietary choline or lecithin intake, serum choline levels, and various metabolic indices. Metabolism. 1978;27:953-60.